Our much loved and respected Parish Priest retired at the end of September. Rev Michael has been our priest for six and a half years. Years which have seen many changes and developments and renewed spiritual support for our congregation in their journey of faith. Everyone was invited to Rev Michael’s final Eucharist on Sunday 30th September at 6pm when the Rev Canon David Neale preach the sermon. As a response to popular demand that the Bible Study Sessions held in Lent be extended there will be a Bible Study group held in the Church at 7pm on the last Thursday of every month. The Bazaar was well supported and raised funds for the church and in doing so, enabled it to support our usual charitable donations. Hazel Taylor OBE has not only reached the age of ‘The Big 80’ but also in the same week received in London, The Freedom of the City of London and become a Citizen of London. She has also been invested as a Dame in the Chivalic Order of St Stanislas. Hazel who before the enjoying her retirement was the Executive Director of Nursing for the former Glan Hafren NHS Trust, a Governor of the University of Wales, Newport, a Board member of the Wales Centre for Health and former Chairman of Newport City council Standards committee. Hazel also served as a Magistrate for 24 years and was the chairman of the Gwent Courts Board. The photograph shows Hazel holding her certificate of Freedom it having just been presented to her by the Deputy Chamberlain of the City of London Chamberlains Court assisted by the Chamberlain’s Beadle. The meeting was held on 19th February. Each year the Group chose a charity to support within the constitution which stipulates the charity must be local and children based. Below you will see our chairperson Carol presenting a cheque to our chosen charity ‘Wish upon a Star’ which is a charity that provides support to families suffering a sudden death in a child or young adult. Bishop Richard visited us on 5th November to celebrate Holy Eucharist and to bid farewell to Stan Smith who retired as Reader and Eucharistic Minister. Stan has been a loyal and hardworking member at Holy Trinity Christchurch for over 40 years. we will continue to enjoy Stan’s company as a member of our congregation. This popular event sold out quickly and all were kept guessing until arriving at the first stop; the historic Priory Church of St Mary in Usk. We were made very welcome by Kevin who proceeded to give us a very interesting potted history of this beautiful church. After time to have a closer look around, we boarded the bus and enjoyed a hearty supper at The White Hart in the village of Llangibby. Many thanks to Vera for organising this very enjoyable trip. The 2017 Harvest Supper was held in the hall on 2nd October and was well attended. Thanks to the all who made this a very pleasant evening of fellowship. A wonderful concert was held in church on 8th September 2017, organised by Terry Gilmore-James and Graham Jones, in aid of church funds.The audience gathered, bathed in late summer sunshine to witness a feast of musical entertainment. Michael welcomed everyone into our beautiful church and introduced the professional performers to whom we give great thanks for generously sparing us their time to entertain us with such great performances.Peter Totterdale (Tenor) – Born in Carmarthenshire, whose lyric tenor voice is widely admired.Alis Huws (Harp) – Born in mid-Wales; this year graduated with distinction from the Royal Welsh College of Music & Drama, Cardiff and is just embarking on her professional career.Terence Gilmore-James (Organ & Piano) – A native of Abergavenny with an extensive and distinguished musical career which before retirement also took him to many other parts of the world. Terry opened the programme with a fine organ composition from J.S.Bach – ‘Great’ Five-Part Fantasia in C Minor. Peter’s magnificent voice was introduced in two songs sharing the themes of ‘longing’ & ‘yearning’ by Purcell and Dilys Elwyn-Edwards and Alis enveloped us with the amazing sound of her harp in an arrangement of an entrancing flamenco style Spanish dance by Lecuona. We were refreshed during a short interval with the classic combination of cheese, wine and fellowship.As the programme continued, the church was filled by the resonance of the organ, piano, harp and voice and included songs from Copeland and Robert Head, a romantic melodic organ prelude by Robert Jones and Scherzo from Peter Hurford. Great justice was given to two welsh folk songs and Variants for the harp by the great Welsh musician Mansel Thomas (who Terry is proud to claim as his father-in-law.) A rousing rendition of ‘The Holy City’ (Stephen Adams) was found to be particularly poignant and the concert concluded with ‘Marche Triomphale’ (Sigfrid Karg-Elert), which rounded off a splendid evening. Thanks again to Peter, Alis & Terry and to all involved in arranging this fantastic evening of music. Another very popular annual event in our parish calendar was once again a very successful evening enjoyed by all. The ‘hog’ was delicious as always !! Thanks to the volunteers who worked very hard during the evening and to John who entertained us after with some upbeat popular music, which even encouraged the more energetic amongst up to get up and dance!! We look forward to this event again in 2018……..
A very successful AFTERNOON TEA was HELD ON June 28TH IN THE HALL raising funds for the church. The Annual Vestry Meeting, which is similar to an annual General Meeting, was held in the church on Monday 24th April. Items on the agenda included the Priest in Charge’s Address, the Financial Report together with the Parish accounts and reports from wardens, church related clubs and societies and the church website. The Priest in charge reported on another very busy year, with many functions to raise funds for the church and various charities. Amongst which were the continued participation in the Night shelter scheme during the winter months. This is when our church hosts a weekly overnight stay with food and friendship to the homeless. Rev Michael Jarman (the Priest in charge) thanked all those who had participation in this humanitarian activity. He also gave thanks to the many church members who had given of their time and talent to make this church a place of fellowship and he emphasised that the church continues to grow, due in no small part, to the regular congregation, who maintain both the fabric and spirituality of the church and the warm welcome it offers to visitors. It was with regret that he was to lose the services of his hard working warden who had helped him greatly since he started his ministry at Christchurch. However he was pleased to announce that a new warden had been appointed. 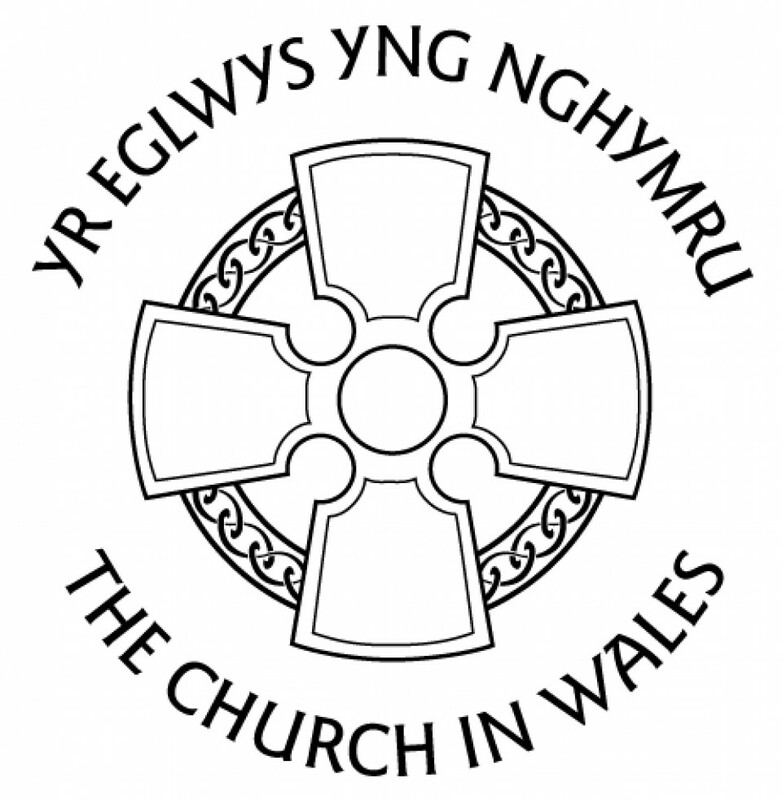 Appointments of a new Parochial Church Council and other church officers together with alterations in the church’s audit process were made, and the meeting closed in prayer. ‘ASHING’ SERVICE at the 10.30am Eucharist. The four Fridays of Lent lunches began on 10th March and subsequently on the 17th, 24th, and 31st March. Everyone was invited to join us in the hall for home made soup and rolls for a small cost at 12 mid day. Proceeds raised have been donated, as usual, to charity. This year series of Lenten Bible Studies was held in the church for four weeks every Friday morning at 11am starting on 10th March. All joined in interesting and challenging debates, led by the Vicar, the Rev Michael Jarman. Holy Trinity hosted this years AGAPE service in the hall on 31st January when we were pleased to welcome over 80 people from Churches Together in Newport. We all joined in fellowship, a brief act of worship and a delicious meal. AGAPE is the Greek word for Love, the highest form of love for God and is used together with benevolence and good will. The blessing of Amanda and Gavin Horton’s new coffee shop. We are delighted that they have commenced this new venture and wish them every success in their investment into the locality. They welcome you all, and hope that this new venture will be a resource for churches as well as the community. You can find the coffee shop situated just over the modern footbridge across the river from the new Friars Walk area. On the wish of the late Rosemary Dixey, a four charities Christmas concert was held on December 17th in the parish church. Rosemary, who sadly died this year, was a much-loved and respected member of our church, and well-known in the city and beyond for her floristry expertise. As she had bequeathed her body to medical science there was no funeral and it was her wish was to hold the concert on her 90th birthday, with the proceeds to be donated to her favourite charities. Holy Trinity Church Christchurch; NHS – Aneurin Bevan Medical Day Care Unit; The Mission to Seafarers & NAFAS (National Association of Flower Arrangement Societies). As Rosemary had bequeathed her body to medical research, the evening included a brief and very moving reflection on her life and her many achievements. These beautiful floral arrangements were created by friends of Rosemary, a fitting tribute to a much-loved friend. This very special service of contemplation and reflection was once again held in the busy period before Christmas. Coffee and warm mince pies were enjoyed by all, along with a craft stall & a raffle. Once again the Christmas Bazaar was a huge success. crowds poured through the doors, and within minutes all the colourful stalls were surrounded. We were delighted to receive the Deputy Mayor Councillor David Fouweather joined by his wife, who both opened the proceedings and toured the stalls, meeting old friends and joining in the happy occasion. The Christchurch Music Society cake stall made £110.00 towards the Church hall fund. Many thanks to all who contributed! We celebrated the first Birthday of our Young Peoples group during and after the morning service on Sunday 20th November. The children and the JAM helpers joined us during the service and told us what they had been learning in the first year of the new group. Their descriptions were supported by colourful collages. Everyone then gathered in the hall for light refreshments and to cut the Birthday cake. Very special thanks to all who are involved and have helped to create this new venture. There are photographs on the JAM page on this website. On Remembrance Sunday, 13th November, during a special and moving service the whole congregation joined the clergy and choir and left the church to gather around the War Memorial here in Christchurch. Church members and friends placed crosses and a wreath on the Memorial and this was followed by a two minutes silence. We were blessed with a fine morning and the sun shone on us as we remembered the fallen and the injured and all their loved ones during many conflicts. A great evening of fellowship was enjoyed by all. The majestic hog arrived in its full splendour and everyone enjoyed a wholesome feast. The hall was full to capacity and laughter filled the air when Lorna Pearson took to the floor and entertained us singing & reciting a plethora of amusing anecdotes. A big thank you to her and to all who helped to organise this enjoyable event. Our pleasant evening drive took us through Langstone, Llanmartin, Magor & Rogiet to a very warm welcome at St Mary’s, Caldicot. After hearing the interesting history and having a closer look around this beautiful ancient parish church we boarded the coach again for the short drive to The Woodland Tavern at Llanvair Discoed where a hearty supper was enjoyed by all. CHEESE AND WINE EVENING on Friday 8th July 2016. The sun made an appearance again for a pleasant evening in the Vicarage Garden for our annual Cheese & Wine Evening. We went to Broadway and the Lavender fields. The sun smiled on us again and the day proved to be most enjoyable. All current and past members were invited to celebrate this event with a social evening and a Dutch Supper, held in the church hall on Tuesday 5th April. Michael, our parish priest opened the event with a prayer and everyone was welcomed by the current leader Carol Kenny. She paid tribute to all past members, leaders and recalled with affection fifty memorable years. The founder member, Mrs Gwyneth Fuller gave a brief speech recalling happy times and friendships past and present. As always the refreshments, provided by members, were plentiful, a true gourmet spread! The evening concluded with the cutting of the ceremonial cake, and Rev Michael closed this very special evening in prayer. Holy Trinity womens Group meets in the Church Hall on the first Tuesday of the month at 7.30pm. The Group continues to raise funds for the support of local children’s charities. New members are welcome, click the ‘contact us’ button and we will call you back if you need more information. Shrove Tuesday saw nearly 50 parishioners gathered in the Hall to enjoy our traditional ‘pancake’ celebrations. The chefs were Michael our Parish Priest, ably assisted by Gavin our newly appointed Treasurer. As always the ladies were busy helping to serve and everyone was impressed by our chefs culinary skills.